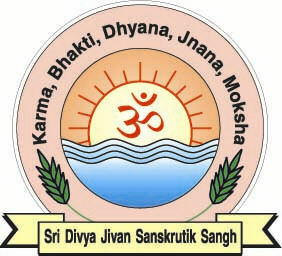 Spiritual Shibir, Yogasana Camps, Daily Yogasana Classes, Consultation -Yoga Therapy, Nine Homeopathy Centers Jnana Yajna & Spiritual Library, Publication of books, Free Distribution of grains & medical Help to poor & needy, Jal seva, Reiki Seminars, Sivananda Aurvedic Clinic & naturopathy diet advise Center. Bhagwan Sri Vishwanath Temple, Accomodation Facility for 150 Sadhak Weekly Satsang on Sunday, Gayatri Homa. Paduka Pujan. Spiritual Lectures, Sadhana Camps, Sale of ayurvedic medicines & books, Eye Camp every 3 months, medical aid, Meditation & Yoga classes, Essay Competition every year. Fortnight Prayer, Distribution and Sale of Spiritual Literature, Library, Book Fair, Discourses of Saints and Scholars, Daily Yoga Classes, Yoga Training camps, providing medicine, fruits in Hospital for needy people. homeopathy Center, Essays & Debate competition, Helping in Natural Calamities. Weekly Satsangs (sundays), Pranayam & Meditation Shibirs, Narayan Seva, Medical Aid, Running sub-branches where ladies & children are imparted training on yoga, cultural & religious activities. Regular Satsangs & Various Booklets have been published & distributed. Pin Code : 360 005. Phone No. : 360315 / 388339. Treasurer : Vithlani N. V.
Surendra Nagar, GUJARAT. Pin Code 363 001. Evening satsang, Saturday-Recitation of Sunderkanda of Ramayana, Sunday-Guest Lecture, Annakshetra, Free Medical Center, Beds For T.B. Patients, Bal Sanskar Kendra, Library, Free Homeopathy Center, Eye Camps, Health Fair, Publication & sale of Books. 2-3	Medical Camps arranged every year,Free Medical, Acupressure & Diet Guidance given, Visit of Holy Places, Medical Clinic,lndian Red Cross Society, Gandhi Ashram Homoeopathy Clinic run by Kendra.Gayatri Haven arranged every month on 2nd Sunday of month. Yogasana, Prarthna, Pranayama. Weekly Satsangs, Hospital Seva, Publication of Books, Homeopathy Healing Centre. Eye Camps, Dental Camps & Ayurvedic treatments. Feeding to poor, Celebration of GuruPurnima, navaratri, Shivaratri & Guru Paduka Puja, Yogasana Camps, Sivananda Pharmacy, Distribution of Books. Phone No : 02821 -83727( 0) / 83728/83726 (F).